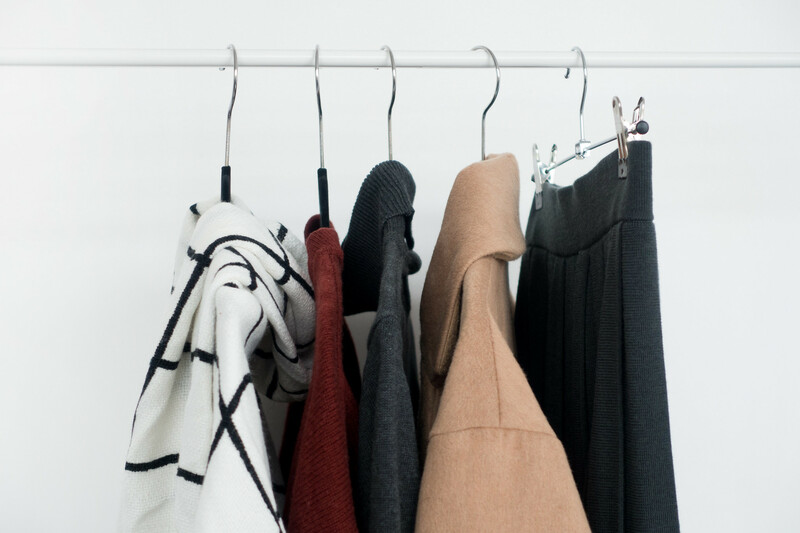 Defining and developing a colour palette for a wardrobe can be tricky to get right, the colours we love aren’t necessarily the colours we feel comfortable wearing. Sticking to a monochromatic palette makes it hard to create an ugly outfit - everything matches and looks good. Black clothes are the safe bet that can’t go wrong. 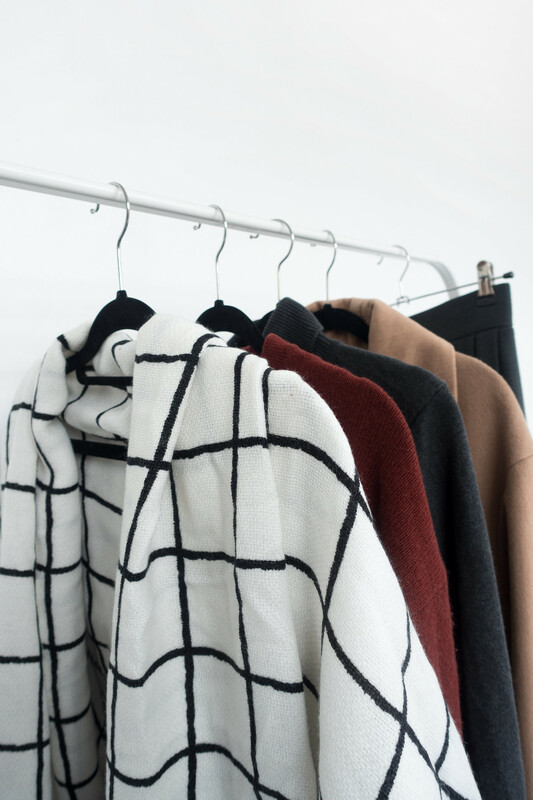 While neutrals provide balance and ease of wear, accent colours shake things up. My wardrobe has its feet firmly in the grayscale. I love colour but it’s not something I feel comfortable wearing and I swerve around it as much as possible. I’ve been trying to embrace a richer palette in my wardrobe to make things more interesting. I do love those deeply rich shades: burnt browns, soft caramels, and muted slate tones. I think I’d love them even more if I allowed myself to be more adventurous with them in my wardrobe. As a staunch member of the “all black everything” brigade, can you see how this makes me nervous? Colour is daunting. The less I wear it the more uncomfortable I become when I do, it’s a vicious cycle. I don’t know about you but black is my safety net. Here is a little advice on introducing colour into your wardrobe in a way that will keep you feeling comfortable. The key to finding a colour palette for your wardrobe is to choose tones you love. If you’re a lover of bold colours, go with it - don’t feel you have to opt for cooler, less vibrant shades just because that’s what a typical minimalist’s wardrobe looks like. Likewise, if all black everything is your comfort spot, don’t feel pressured into wearing something more colourful just because people comment on how you’re always ready for a funeral. Always wear what makes you feel comfortable and confident. Figure out the colours you feel content wearing and want to continuously return to, and build on that. Throwing a curveball into your wardrobe in the form of easy-to-wear pieces can help tick the colourful box without being full on. The colours that top my list are: burnt red/orange, caramel brown, and slate grey. Muted, dulled, and murky, yet pretty - so pretty. I add them in as accents such as this Great Plains camel coat, Uniqlo slate-green skirt, a grid scarf, People Tree gray turtleneck, and Uniqlo marroon jumper. They’re all pieces I feel comfortable and confident wearing. I can layer them into my usual outfits and they help me step outside my wardrobe’s comfort zone without looking or feeling out of place. If you want to add more colour to your wardrobe follow these simple tips: if you're nervous, choose muted shades; focus on layering items; add colour with accessories; use colour as accents rather than core pieces.